Wrestling Redux: WCW - Rey Mysterio Jr.
Óscar Gutiérrez Rubio (born December 11, 1974), is better known by the ring name Rey Misterio, Jr., or by the more popular spelling, Rey Mysterio. He is an American professional wrestler currently signed to World Wrestling Entertainment (WWE) on its SmackDown brand currently taking time off after having knee surgery. Mysterio is known for his high flying style, which helped kick-start the cruiserweight revolution in the United States of America in the late '90's - during his time in World Championship Wrestling. Born in San Diego, California,Gutiérrez trained for professional wrestling with his Uncle, Rey Misterio, Sr.. 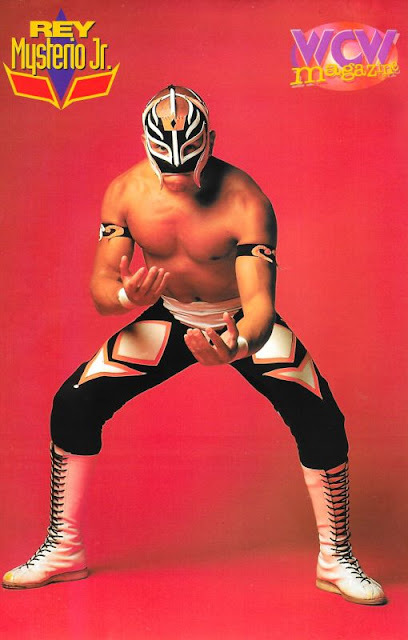 He debuted as a wrestler on April 30, 1989 at the age of 14 in a small church in Tijuana, Mexico. Technically, he was too young to receive a license, but as enforcement was generally low, he was able to get away with it. In Mexico, using the ring name Colibrí (Spanish for hummingbird), he began a feud with Psicosis (who had also been trained by Rey Misterio, Sr.). This feud lasted several years, continuing even after Gutiérrez's career moved to the U.S. When Gutiérrez turned 18, his Uncle revealed the truth that he was actually his father and allowed him to use the ring name Rey Misterio, Jr.. In Asistencia Asesoría y Administración (AAA) he feuded with Juventud Guerrera including a tag match with Misterio, Jr and Sr. taking on Juventud and his father, Fuerza Guerrera. 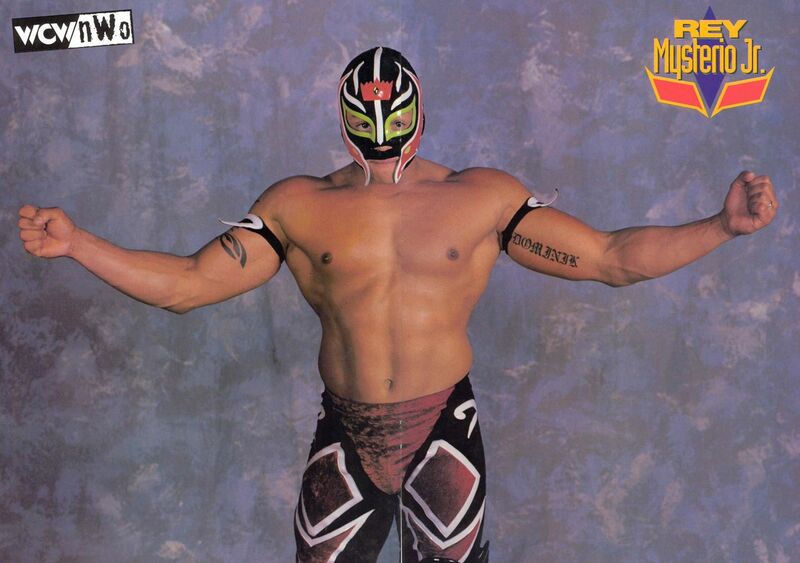 In 1995, Mysterio defeated Psicosis during their debut match on Extreme Championship Wrestling (ECW). This match was their first real impact in American professional wrestling - although they had previously been seen on the World Championship Wrestling-promoted When Worlds Collide pay-per-view. Mysterio, along with a number of other luchadores, became a featured attraction in ECW at this time. Mysterio later appeared at both One Night Stand reunion shows. Mysterio went on to gain fame in World Championship Wrestling in 1996, where he was the flagship of the new "Cruiserweight Revolution" in the United States. 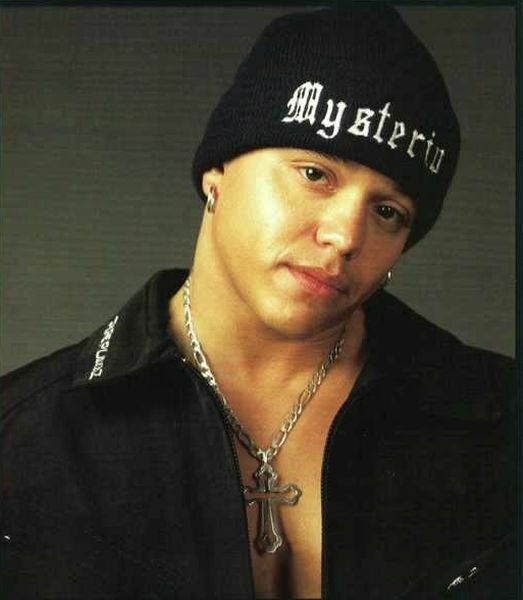 His last name was changed to 'Mysterio' to be further marketed as a 'Mystery man'. Mysterio had many famous matches with Ultimo Dragon, Dean Malenko, Psicosis, Eddie Guerrero, and Juventud Guerrera. In time, he would gain the WCW Cruiserweight title five times. 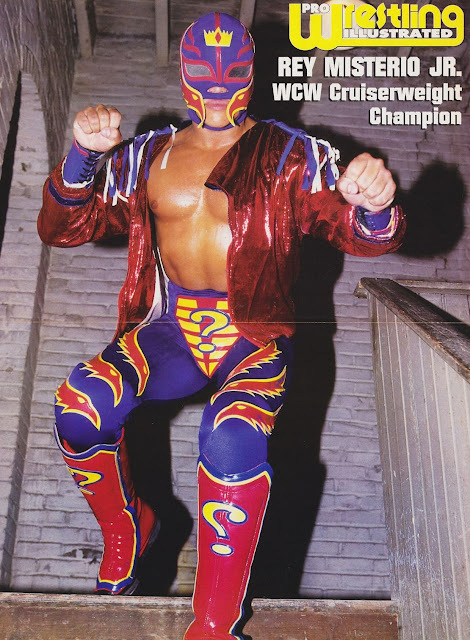 Mysterio quickly made an impact in WCW with his first Cruiserweight title reign. However, at the October '97 Halloween Havoc, Mysterio won his second Cruiserweight Championship against real-life friend Eddie Guerrero in a "title vs. mask" bout. The match was so highly acclaimed for its utter fluency and technicality that it was voted Match of the Year. By now, Mysterio was clearly a staple of WCW's roster. After much feuding, the WCW Cruiserweight Champion was booked in a match against Chris Jericho. Mysterio would lose the title at WCW/nWo Souled Out on January 24, 1998. After the loss, Jericho continued the beating using a toolbox found at ringside. This would put Mysterio on the sidelines for several months before making a return six months later at Bash at the Beach 1998 to defeat Chris Jericho for the championship, however the next night the result was overturned due to the interference of Dean Malenko and the belt returned to Jericho. In 1998, Eddie Guerrero formed a group known as the Latino World Order (a take off New World Order) that included nearly every luchador in the promotion. Although Mysterio was pressured to join, he continually refused. He was finally forced to join in losing a match to Guerrero. As the two factions of nWo reformed - nWo Hollywood and nWo Wolfpac - they demanded the LWO's disbanding. Mysterio showed his loyalty in refusing and inevitably suffered the consequences. In 1999, Mysterio was pitted in a tag team bout against the The Outsiders/Scott Hall and Kevin Nash in a "hair vs. mask" match. He and Konnan would lose at Superbrawl IX on February 21, 1999 in Oakland, California, causing Mysterio to remove his trademark mask. The Lucha Libre community was offended by this move due to their strong tradition of luchadores wearing their masks. Mysterio remained one of the company's most popular superstars due to his high-flying, amazing, luchador style, how he always interacted with the fans, and his own personality, which was displayed in his clothing (in and out of the ring), music, and approach. Mysterio would go on to prove himself without the mask. He became a "giant killer" by scoring upset victories over towering, powerhouse performers like Kevin Nash, Bam Bam Bigelow, and Scott Norton. He would also begin a successful tag team with Billy Kidman and join Master P's No Limit Soldiers. After Master P's departure from WCW, a new stable known as the Filthy Animals formed including Konnan, Eddie Guerrero, and Mysterio. His success finally led to a WCW World Heavyweight Championship title shot against Ric Flair on the 1999, Panama City Beach, Florida edition of WCW Monday Nitro. In a rare scene, a raffle was conducted to declare the challenger for Flair's title. Low-card performer El Dandy would actually be drawn, but gave the shot to Mysterio due to an injury suffered earlier in the show. This main event match clearly illustrated Mysterio's potential and fan following, but the underdog would come up short. Mysterio remained a steady performer through this and joined the New Blood faction in early 2000 to face the opposing "Millionaires Club." Mysterio and Kidman would then feud with tag teams such as Misfits in Action and Team Canada throughout WCW's final months. Together, they would win the new WCW Cruiserweight Tag Team Titles on the final edition of Monday Nitro before the company was sold to the then WWF in 2001. This would be Mysterio's last TV appearance for over a year.